On April 10 and 11, 2019, Seamless Middle East 2019 will bring together over 10,000 visitors, 400 speakers and 350+ exhibitors to the Dubai International Convention & Exhibition Center for one of the Middle East’s largest events dedicated to e-commerce and fintech. Seamless Middle East 2019 will feature five separate conference agendas covering the world of payments, fintech, e-commerce, retail and identity. New for 2019 is the Fintech Pavillion, which will feature an all-star lineup of international and regional fintech companies, transforming transactions across retail banking, institutional and corporate banking, insurance and lending. 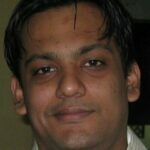 Bipin Preet Singh is the founder and CEO of Indian mobile wallet provider MobiKwik. Singh founded MobiKwik with the vision to transform the digital payments landscape in the country. 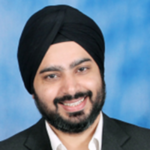 Under his vision, MobiKwik has grown from a recharge and bill payment platform to the largest independent mobile payments network in India, enabling 55 million users and 1.5 million business to go cashless. The company’s vision is to become India’s most simple-to-use, large scale, financial distribution platform in the next two to three years through mobile Internet technology by enabling Indians to make and collect payments, access credit, investments, insurance etc., seamlessly, instantly and at the click of a button. Prior to his entrepreneurial journey, he spent 7 years as a platform architect at companies such as Intel, Nvidia, and Freescale. 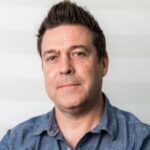 Craig Moore is the founder of Beehive and serves as its CEO. Based in Dubai, Beehive is MENA’s first regulated peer-to-peer (P2P) lending platform providing small and medium-sized enterprise (SME) finance. Moore has a strong IT sales, service and consulting background, having worked in various positions with companies including Dell, Hitachi Data Systems (HDS), EMC and NetApp. In his career, he has looked after some of the largest commercial organizations, including Aviva, Lloyds Banking Group, Citigroup and Bank of America. 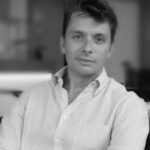 Alain Falys is the co-founder and chairman of London-based Yoyo Wallet, one of Europe’s fastest growing mobile payment and loyalty marketing platform, recording more than 1.5 million users. Falys is also a partner at technology seed fund Firestartr.co, a member of RBS’ Technology Advisory Board and a director at fintech companies Pelican.ai and OneLinq.nl. Previously, he co-founded the OB10 global e-invoicing network, which floated in London as Tungsten Corporation Plc. 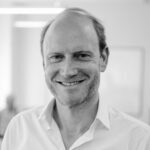 He was senior vice president at Visa International and co-founded Omnis Mundi, an e-commerce incubator with operations in Frankfurt, Berlin and Zurich, with successful startups such as BuyVip sold to Amazon in 2010. 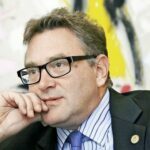 Jon Matonis is a founding director of the Bitcoin Foundation. 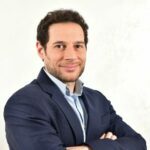 A monetary economist focused on expanding the circulation of nonpolitical digital currencies, Matonis also serves as an independent board director to companies in the bitcoin, the blockchain, mobile payments, and gaming sectors. He has been a featured guest on CNN, CNBC, Bloomberg, NPR, Al Jazeera, RT, Virgin Radio, and numerous podcasts. As a prominent fintech columnist with Forbes Magazine, American Banker, and CoinDesk, he recently joined the editorial board for the cryptocurrency journal Ledger. His early work on digital cash systems and financial cryptography has been published by Dow Jones and the London School of Economics. Matonis advocates worldwide for bitcoin and its disruptive economic implications to a wide variety of audiences, including members of the Federal Reserve, Bank of England, ECB, SWIFT, DOJ, retail payment networks, major financial institutions, financial regulatory bodies, mobile money issuers, iGaming operators, information security firms, hedge funds, gold investors, and family offices. Chris Colbert is the managing director of Harvard Innovation Labs. As a world class innovator, author and entrepreneur, Colbert specializes in finding simple solutions to complex problems while painting a compelling picture for any organization of its unrealized potential. 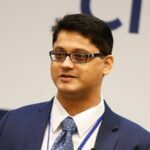 He is a globally sought after speaker and consultant in the fintech space where he leverages his experience and global perspective in helping the industry grapple with disruption and transformation. Talal Bayaa is the CEO and co-founder of Bayzat, a UAE-based technology startup that empowers businesses with smart and effective insurance and HR solutions. Launched officially in April 2013, Bayzat is the first one-stop-shop that offers a real-time comparison of health insurance rates in UAE and more. The company has recently introduced HR administration services that help companies automate all their administrative work from data entry to managing employee records. As CEO, Bayaa is responsible for providing the vision, overall leadership and strategic management for the company as well as ensuring the highest quality of the services provided. Prior to setting up his own company, he worked for a private equity and corporate finance firm, followed by two years at an investment bank. Moussa Beidas is the founder of Bridg and serves as its CEO and director. Prior to Bridg, Beidas worked as a digital user experience designer and creative strategist for DeNA (Tokyo), Tata DOCOMO (India), Skype, Mathaf Museum of Modern Art (Qatar), Microsoft (USA), Hero MotoCorp, i2, and ALDAR (UAE). His previous roles include business strategy and scaling businesses across multiple disciplines with an emphasis on banking and telecom sectors in emerging markets. Beidas has done numerous live broadcasts on both local and international networks and has been featured in numerous global and regional publications. 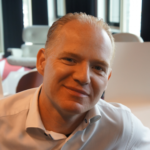 Michael Dooijes is the co-founder and managing director of Startupbootcamp Fintech & Cybersecurity. As managing director, Dooijes is responsible for recruiting and investing in the most promising startup and scale-up teams worldwide in the fintech, insurtech and cybersecurity space and help these entrepreneurs develop products that truly disrupt their industries. Dooijes has an extensive background in the fintech industry, having served as a member of the Rabobank Innovation Board and as a CEO of their own fintech venture, a leading mobile commerce company called MyOrder. He is a regular keynote speaker at international conferences on innovation and the future of fintech. Todd O’Brien serves as the managing director and CEO of MENA at Startupbootcamp. O’Brien is a passionate entrepreneurial sales and marketing leader with over 20 years of experience in marketing, product management, enterprise hardware and software, services sales, sales leadership and coaching. He has worked in very large organizations but also launched multiple startups with some successful exits. He has also been investing in and accelerating startups in North America, Europe and the Middle East. O’Brien is a global conference speaker for fintech, smart cities and other tech conferences. 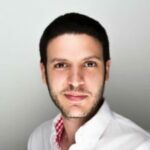 Michele Grosso is the co-founder and CEO of Democrance, an insurtech startup based in Dubai. Driven by the desire to restore insurance to its original purpose of providing mutual aid for those who need it most, but can afford it least, Grosso founded Democrance in 2015. Prior to that, Grosso worked in strategy and distribution at global insurance powerhouses AXA and MetLife in France, Egypt and the UAE. He is a frequent speaker and contributor to microinsurance, entrepreneurship and social innovation events and publications in the Middle East and worldwide. Neeraj Gupta is the CEO of Policybazaar.ae, Policybazaar Group’s first overseas venture and an online insurance and financial products marketplace registered in Dubai, aimed at providing cheap and best insurance and personal finance products online in the UAE market. Started in 2008 in India, Policybazaar is an online platform that aggregates insurance plans and serves as a marketplace for policies. The startup was named one of the 2018 Fintech 100 Leading Global Fintech Innovators by H2 Ventures and KPMG. 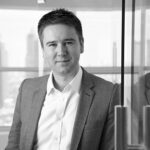 Jon Richards is the co-founder and CEO of Yallacompare, a leading finance comparison site in the Middle East. The company’s success is down, in no small part, to the technological innovation that Richards has driven with his insistence on working with the region’s top IT talent. 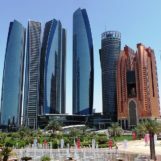 As a result, he and the company have disrupted insurance distribution in the Middle East, and continue to drive innovations in the insurance and finance spaces. 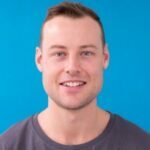 An entrepreneur from an early age, Richards is a master of digital marketing and is a keen follower of fintech developments. Tim Harley is the head of Middle East (banking) at TransferWise. 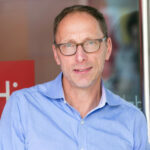 He is responsible for leading the expansion of the UK-based startup into the region. TransferWise is a money transfer service launched in January 2011 and one of Europe’s most successful fintech startups with US$8 million in net profit in 2018 and a four million customer base who collectively transfer around US$4 billion each month. Eleni Kitra is the regional head of financial services and automotive at Facebook. Kitra joined Facebook on April 2013 and in her current role, she leads strategic business development for automotive and financial services for the MENAP region. Kitra has over two decades of experience in strategic business management and marketing roles in global companies. She has worked as head of sales and marketing at Sony, as a commercial manager for Multichoice, as well as managing director, digital, for OMD Group. 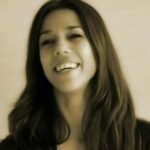 Kitra is a global leader in supporting women in tech, spearheading women@leadership for Facebook EMEA, Ambassador of Emirates Digital association for women, and a passionate mentor. She is an active member of Digital Industry associations and has been awarded for her work in digital and social media. Malikkhan Kotadia is the co-founder and CEO of Finnovation Labs, an innovation and incubation platform based in Singapore. Kotadia is a senior global digital banker, fintech expert, futurist and acclaimed author. In his 18-year long career, he has managed global roles in multinational banks, run billion dollar businesses in various markets, driven key innovations and been a serial entrepreneur. Kotadia is a sought after keynote speaker has been an advisor to exciting startups across fintech, IoT, AI, and blockchain, as well as progressive banks. 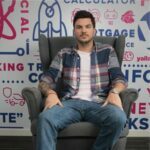 He is also an acclaimed author and runs one of the largest impact communities on social media, with nearly half millions followers in 60 countries and a billion impressions. Nadine Mezher co-founded Sarwa after years of experience in marketing and communication strategy with a track record of successful projects delivered for clients ranging from startups to government entities and large scale companies. Sarwa is the first robo-advisor in the Middle East, regulated by the Dubai Financial Services Authority. The platform aims to make investing easy and accessible to everyone. 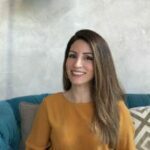 Prior to Sarwa, Mezher worked for Dubai Tourism and Commerce Marketing at the Government of Dubai in retail strategy and strategic alliances, as well as festivals and events development. Ambareen Musa is the CEO and founder of Souqalmal.com, a comparison website for financial products in the Middle East. Before founding Souqalmal.com in 2012, Musa set up the consulting arm of MasterCard Middle East and Africa. Previously, Musa held had various roles including marketing, financial literacy, customer advocacy and e- commerce for GE’s financial arm, GE Money. 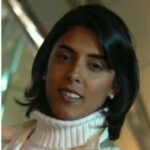 She led the first online financial literacy initiative in the UK, Moneybasics.co.uk., later relocating to the Middle East in 2008 where she consulted for Bain & Company Middle East, focusing on financial services projects such as growth strategies for banks in the region. 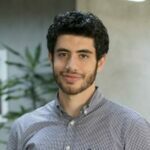 Hadi Radwan is the chief product officer of Aqeed, an insurtech company in Dubai offering a one-stop shop insurance brokerage platform powered by the latest technology. At Aqeed, Radwan is responsible for providing the vision, leadership and strategic management. Radwan is a global executive and dynamic leader with 12 years experience in the management, creation, and development of high growth online startups and complex, matrixed organizations. He has extensive experience in product management and design, operations, technology, distribution, marketing, and strategic visioning. Khalid Saad is the CEO of Bahrain Fintech Bay, a co-working space and fintech hub initiative in the Middle East and Africa. 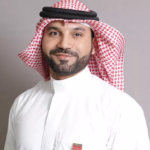 Previously, Saad was the business development manager for the Bahrain Economic Development Board, a public agency responsible for attracting inward investment into Bahrain, enhancing the investment climate and driving economic development. He focused on promoting Bahrain’s financial services sector and attracting new investments into this sector. Successes include expanding existing companies and attracting new ones such as banks, asset and wealth managers, insurers and ancillary services providers. He also worked with existing financial players, financial associations, central bank, lawyers and others to drive development in the sector and make it more conducive and attractive for business. His most significant work to date was devising and implementing a countrywide strategy to drive the growth of the sector through a collaborative approach with key players in the sector. 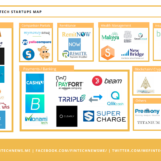 Here’s another cool group of fintech players you’d be able to meet and speak with at the event, us. 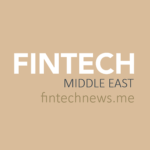 Fintech News Middle East is excited to announce that we have been named one of the finalists for the Seamless Award 2019 as Website of the Year. 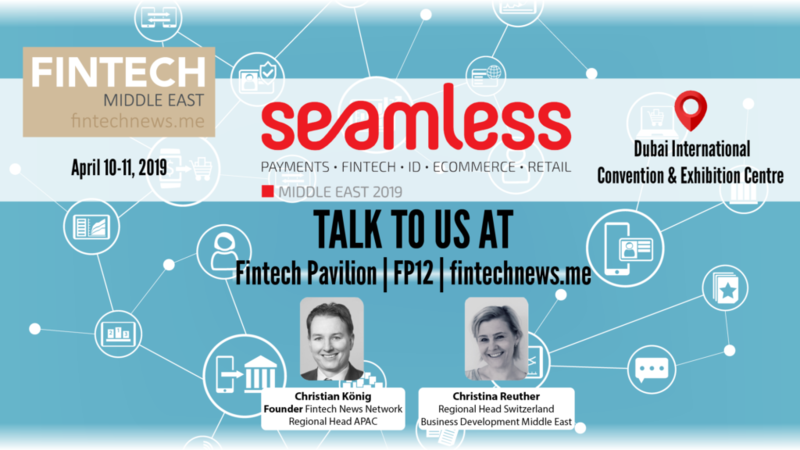 To commemorate the occasion, Fintech News Middle East will be giving away free fintech content marketing consultations at our booth during Seamless Middle East 2019, so don’t forget to say hello! 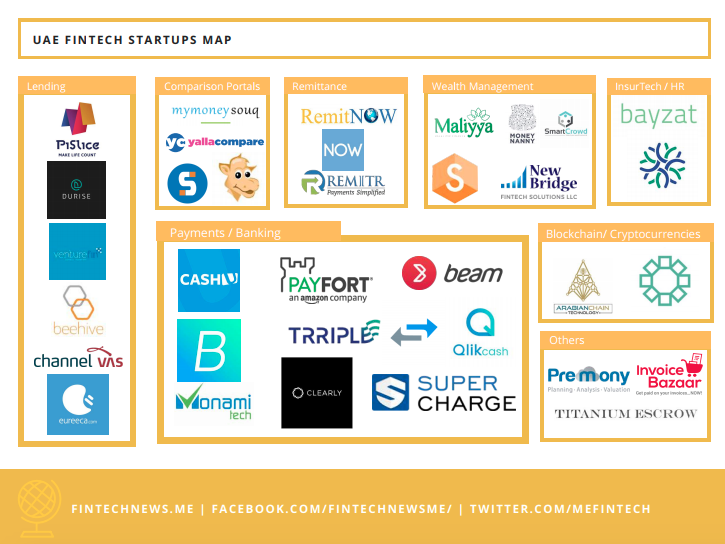 We can’t wait to meet all the movers and shakers in Middle East’s fintech. Book a free meeting with us here.